Bottom line: in nearly 40 states, renewable electricity is less expensive than the existing power supply. 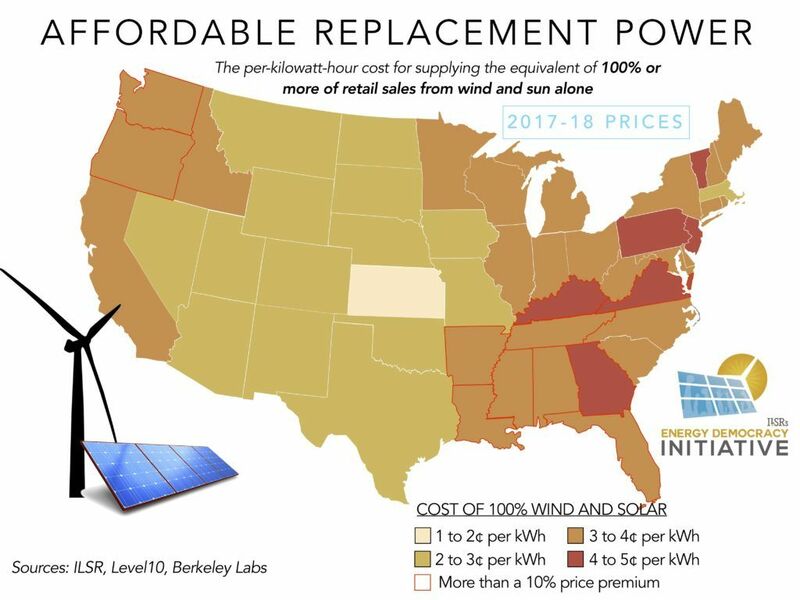 This map shows the cost of reaching a 100% renewable electricity supply in each state, based on the wind and solar resource, publicly available power purchase agreement data, and ILSR’s calculation of the lowest cost choice between wind and solar. Map originally published in Reverse Power Flow (ILSR, 2018). For a map of 100% renewable cities, see ILSR’s Community Power Map. To see a 2015 version of the map below, see our original blog post on Georgetown. The 100% electricity supply cost calculated by ILSR using Level10’s PPA 2018 PPA report and Berkeley Labs 2016 Utility-Scale Solar report for solar costs, and Energy Information Administration data on average wind capacity factors to estimate wind costs. In general, two-thirds of electricity was presumed to come the cheaper of the wind or solar resource. 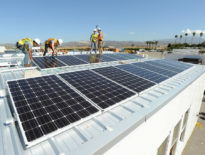 This annual average cost does not account for daily, monthly, or seasonal resource variation and does not represent the cost to operate a 100% renewable grid. 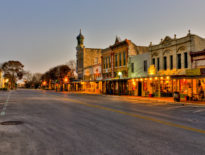 Comparison to existing power supply costs used a proxy figure of 30% of the average residential retail revenue per customer, based on data from the Energy Information Administration.